Prince Jewellery in Trivandrum is one of the most contemporary jewellers in Kerala, specializing in the latest variation of fashionable ornaments. The Jewellery showroom is situated Opposite to Luciya Hotel in Rajadhani Building, East Fort. Prince Jewellery offers gold, diamond, rubies, emeralds, silver, platinum jewellery and coloured gold. Prince Jewellery also has a special section for Antique Jewellery and Birthstones. 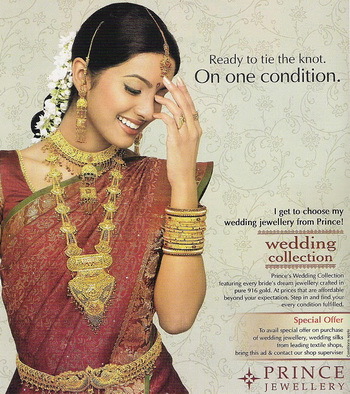 Prince jewellery has 3 showrooms at Chennai and one in Bangalore. Find contact details of Prince Jewellery Trivandrum at Shopping business listings category in Thiruvananthapuram Business Directory.